There you go! You are once again at shopping and you want to buy quickly a gift. You didn’t set a big budget and you don’t want to spend more than one hour at shopping. To save your time, add your loyalty cards into your phone using VirtualCards app and next time when you go shopping, you can show the card to the cash register. In this way, you will reduce the time spent looking for the right loyalty card in your wallet. So, what can you buy on a budget? A jewelry box or a wall clock – If the gift is for a girl, choose a jewelry box and if the gift is for a boy, go for a wall clock. Choose a box with pale colors, since they are a trend this season. Be careful and choose a box that would mean a lot for her. As for the wall clock, don’t choose a basic one. Try to look for one with a fun design and bold colors or a clock with a car drawn on it. It will be a huge hit! A T-shirt – Whether is a gift for her or him, a T-shirt is always a good idea. You can’t go wrong with this one! As in the case from above, try to choose a blouse with a fun design or with a meaningful message. 2 movie tickets – Original, simple and fast is to buy 2 movie tickets. Choose to buy tickets to a new movie, a premiere movie , or a movie with good recommendations. Buy tickets for the weekend, so you can make sure the person you are giving your gift can get along with you at the cinema. A book – Maybe it doesn’t sound very interesting at a first sight, but a visit at the library might be a very good idea. Beside the fact that you will find the newest books, the ones that have made to film screenings or the classic ones, you will also find music albums, notebooks, pens, mugs, boardgames. Accessories – It is very easy to give accessories as a gift to a woman. 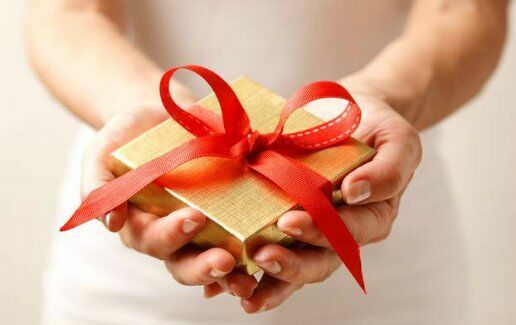 Whether you choose a bracelet, a pair of earrings, a necklace, a scarf or a wallet, you can’t go wrong with this gift! Makeup products – It may appear as a simple gift, but in fact, is not a simple one. You can go to a drugstore to buy makeup products on a budget. Choose a lipstick with a great texture, an eyeshadow palette or good highlighter.